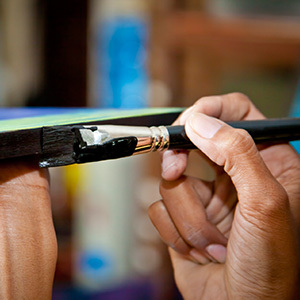 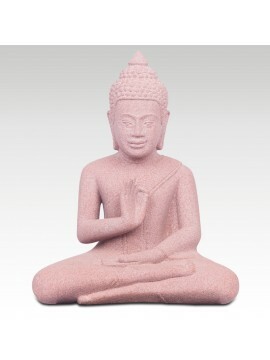 Search "traditional" 33 results have been found. 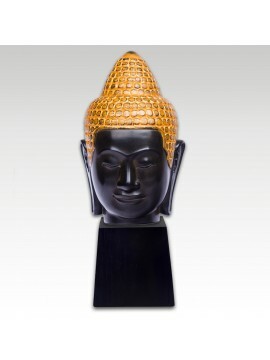 The Polychrome head of Buddha is a finely carved and gilded representation of the Buddha. 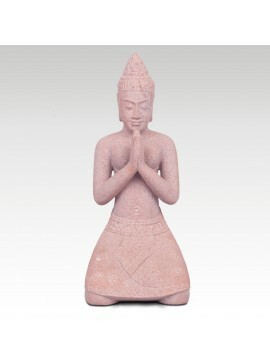 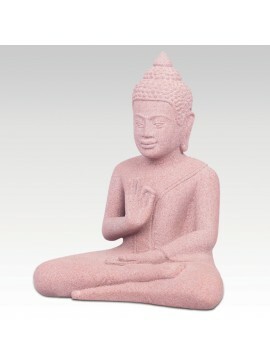 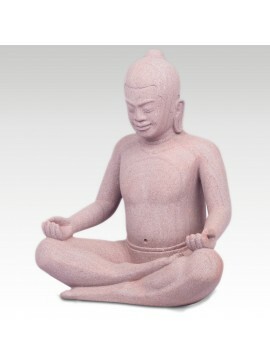 In this small statue you can appreciate to detail the features the Buddha while meditating. 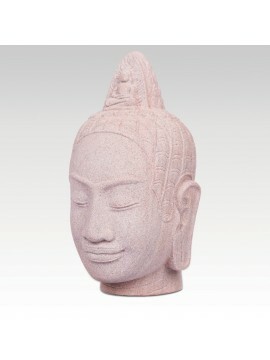 This sculpture depicts the putative head of King Jayavarman VII (late XIIth, early XIIIth century). 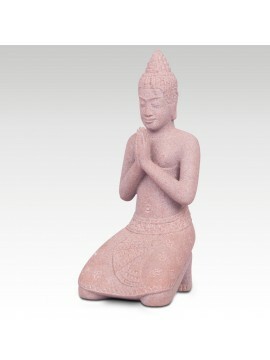 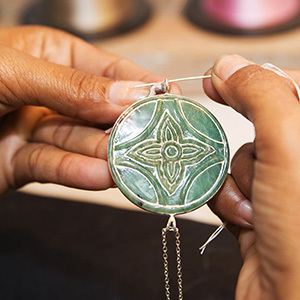 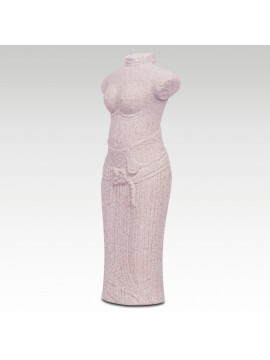 This carving was inspired by a statue from Angkor Thom, now located at the National Museum of Phnom Penh. 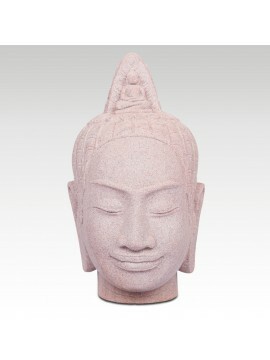 This charming stone head is available in two sizes, small and medium, sold separately, to suit your budget and your available space. 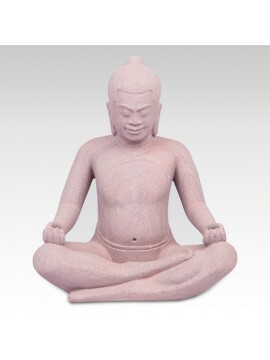 It shows Buddha with his eyes open and a full-lipped serene smile. 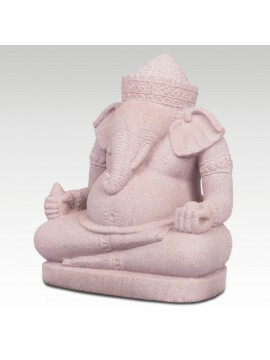 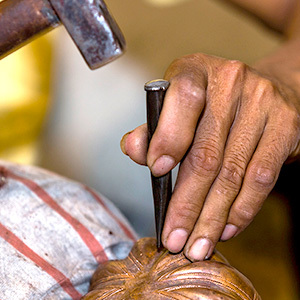 He is wearing a detailed headdress, carved here by one of our skilled young craftsmen. 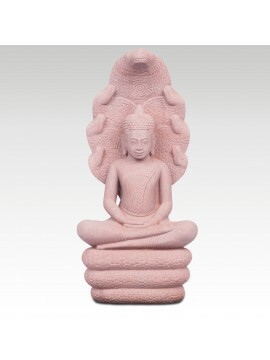 This is a lovely stone carving of Pranhaparamita, often known as "the mother of all Buddhas"
This piece made in sandstone is called a ‘Linga and Yuni’, or ‘lingayoni’. 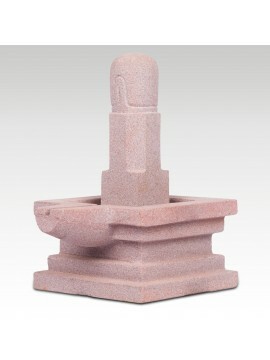 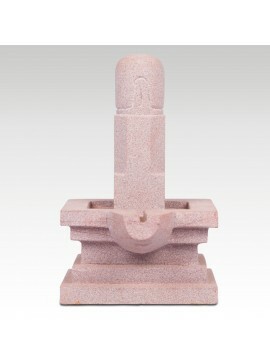 It is one of the representations of god Shiva and his wife Parvati, which symbolizes the duality that merges into unity. 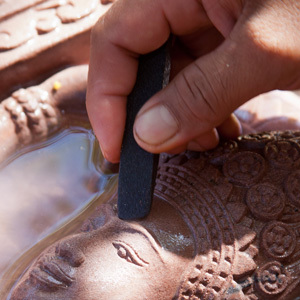 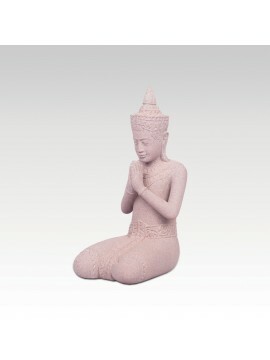 This charming little statue has been hand carved in sandstone by one of our artisans, and represents Jayavarman VII, one of the earliest Buddhist kings of the Khmer empire. 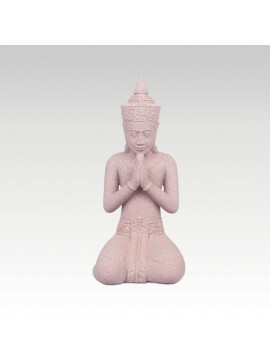 Here Jayavarman VII is seen in the classic lotus posture of meditation. 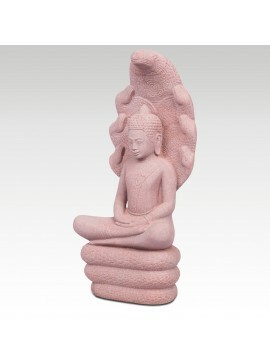 This statue made of sandstone depicts the Enlightened one seated on the coils of Mucilinda, the seven-headed king of the Naga (cobra-like snake) It was inspired by an image in the Bayon style dating from XIIth-XIIIth centuries.